H Raja had posted: "Who is Lenin? What is the connection between him (Lenin) and India? What connection between communism and India? Lenin's statue was broken down in Tripura. Today it is Lenin's statue in Tripura and tomorrow it will be the statue of caste fanatic EV Ramasamy." He later deleted the post. H Raja, a BJP leader in Tamil Nadu, said he had never meant to hurt anybody's feelings. Chennai: H Raja, a BJP leader in Tamil Nadu, blamed staff managing his Facebook page as he confronted a huge backlash over a post that is seen to have driven the vandalism of a statue of rationalist movement founder EV Ramasamy or Periyar. He expressed regret over the post, which he had deleted yesterday. "I was on my way from Tamil Nadu to Delhi when the statement was posted by the administrator of my FB page without my permission. I have deleted the post and removed my administrator," Mr Raja told reporters even as protests erupted in parts of the state. The BJP has called for an explanation but has ruled out any action against Mr Raja so far. Actor-politician Kamal Haasan was among those who said Mr Raja's statement was not enough. "I don't think he has apologized. Regret is not sufficient for me or the people. Words are like arrows, nothing can be taken." Yesterday, Mr Raja had posted: "Who is Lenin? What is the connection between him (Lenin) and India? What connection between communism and India? Lenin's statue was broken down in Tripura. Today it is Lenin's statue in Tripura and tomorrow it will be the statue of caste fanatic EV Ramasamy." He later deleted the post. The post was a response to anger over the razing of two Lenin statues in Tripura, where the BJP has come to power after ending 25 years of Left rule. 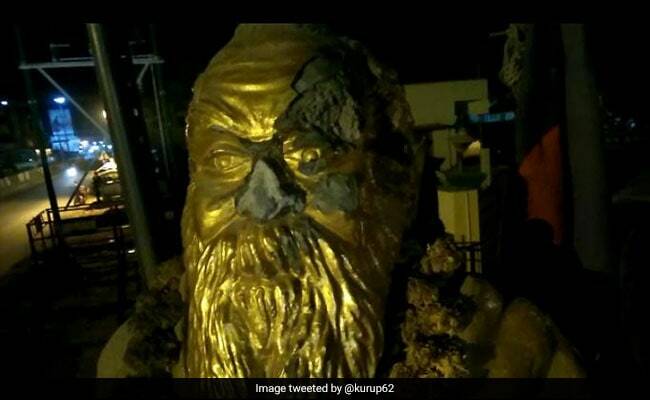 The statue of EV Ramasamy, popularly known as Periyar, was vandalised in Tamil Nadu's Vellore. Hours after the post, a statue of Periyar outside a civic office in Vellore was vandalised. In retaliation, a petrol bomb was thrown at a BJP office in Coimbatore. Mr Raja said he had never meant to hurt anybody's feelings. "The vandalism of statues is unacceptable. The statement does not reflect my ideology. The vandalism has been condemned by Prime Minister Narendra Modi as well as BJP president Amit Shah. Assuring strict action against party men found guilty of destroying any statue, Mr Shah said: "As a party, we in the BJP believe that a wide range of ideas and ideologies can coexist in India. This is exactly how the makers of our Constitution envisioned our great nation to be." 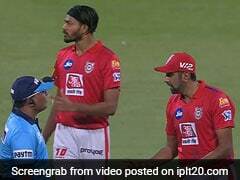 Mr Raja seems to have been spared tough action, for now.